The Africa’s most prominent countries , Morocco and Tunisia are great exporters of denim apparel to EU due to their duty free status . 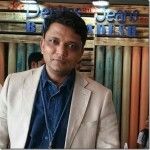 For most of their production, they also import denim fabrics to convert them into garments. The EUR2 certificate enables reimport of finished garments at zero duty and hence the garmenting in , specially , these two countries has been sustaining. Of course some locally produced fabrics are also used for garments . Besides , non EU imports of fabrics is also done but the exports of garments made from those fabrics does not entitle the exporters to duty free status in EU. An analysis of the denim fabrics imported from EU into these two countries will give us an idea as to how these countries are manufacturing and re-exporting garments made from these fabrics. Comprehensive analysis of growth in the exports to the two countries along with the changes in the average price.